Just back from a 3 week first visit to Portugal. I’m an expat shopping for my next country. I’ll give Portugal a long look this fall. In the meantime, I’ll be searching this blog for your transition experiences and useful info such as this post. In 6 1/2 years as an expat I’ve learned some things that address questions and problems mentioned above that might be useful. >>there are one and two euro coins. The downside is that your wallet can get very heavy, very fast. You and the cashiers will be happier if at payment time you learn to first reach for coins instead of bills. It keeps your coin supply down and theirs up. >>With our adapters, and especially with the surge protector on top, it makes for an inelegant and precarious tower. Whenever possible I bring a single adapter, e.g. Insert US plug on one side, stick other into an EU socket. For example, Google: plug adapters “us to europe” -universal I’ve found they grip plugs and sockets better than the universal adapters, are smaller, lighter and there is nothing to break. >We’re not quite sure why but it costs more to rent or buy a vehicle with an automatic transmission – or it would if you could find one. Two principles from Retail 101: Fast moving items = cash flow and profits, slow moving ones = costs. Utility dictates if you can’t drive an automatic your choice is to go without a car or pay what they’re asking. Thanks for stopping by our blog, Bill and commenting on this post. Hope you found some useful info here and elsewhere in our posts and we enjoyed reading your tips too. We went through a “Not the same as” phase during our years of travel in Mexico, Central and South America and are finding it interesting to discover what’s different in Europe as well as our reactions to the differences and how we’ve adjusted. I also found myself thinking of US visitors we’ve met while we’ve been here in Portugal like the woman who was dumbfounded to find out that US dollars weren’t accepted or another friend who was making her first ever trip out of the US and hadn’t realized that the banks charge a hefty service fee on foreign ATM transactions. Reading, especially travel and expat blogs, really helps as there are so many new things to learn and they all make living here a little more interesting and fun, too! Hope our paths cross when you return this fall for your second look-see at Portugal! I found your blog and thought it was about Lagos, Nigeria! I’m currently stationed here as an expat. Loved the photo of the colorful money, which we don’t have in the States. Thanks for stopping by our blog Nicole and for taking the time to write a comment. 🙂 We like the Euros too as it’s easy to pick out the correct bill since they’re in graduated sizes as well as different colors. 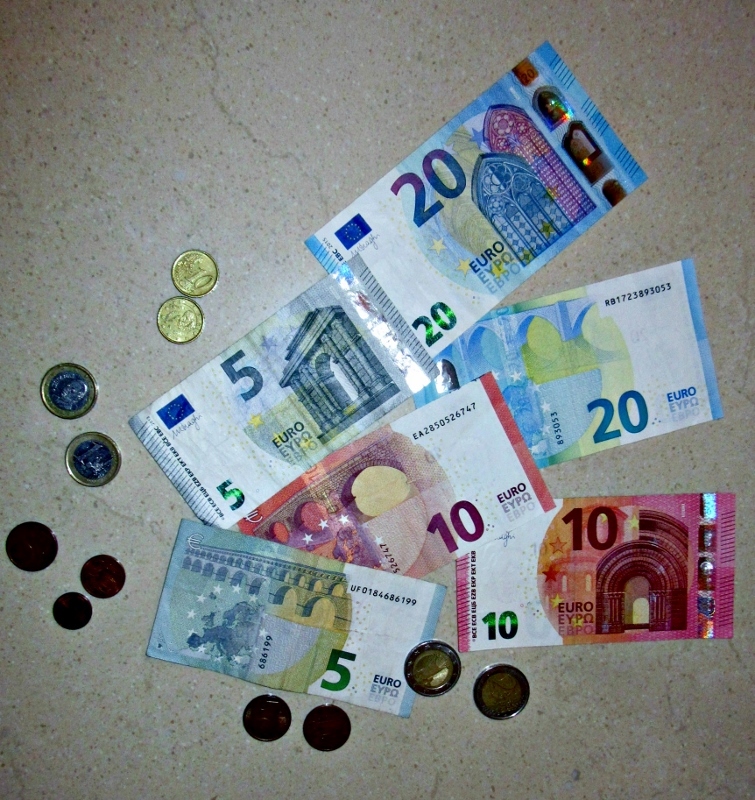 The hard thing to get used to is the single Euro rather than the dollar bill as your wallet can gain weight pretty fast! I live in Spain and thought i just had to visit Portugal because, it’s so close! I loved it, the beaches, the food, scenery, amazing views! I’m glad to hear you’re happy! 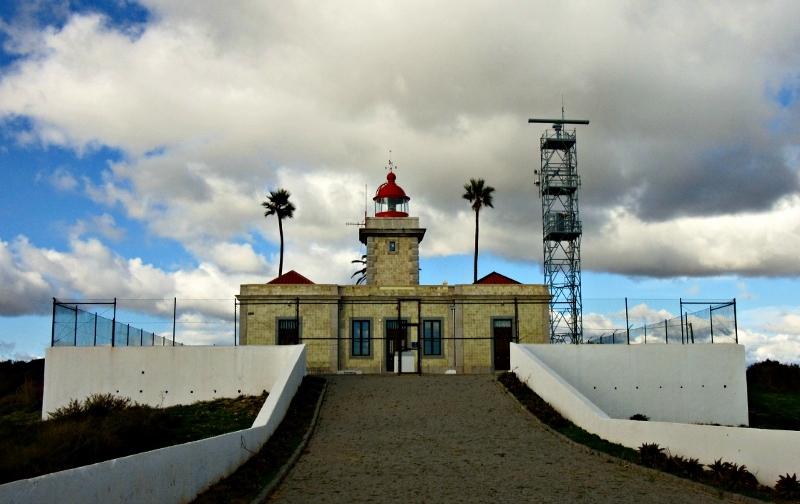 Living in Portugal is a tremendous opportunity and an amazing experience for us. I have the feeling you can say the same for Spain! Nice look at everyday life in Portugal. I visited Portugal over 20 years ago and found the language the biggest hurdle. It is different than Spanish and French. That challenge, though, is also the charm. Thx for this introduction to Portugal. I have not yet visited, but would certainly like to. Happy Holidays to you. Ha, we’ll need some luck with the Portuglish! Your comment about the “imperial system” had me laughing, Shelley because many times in the US, things are done “differently” which, according to many people, means doing it the “right” way! While we miss our clothes dryer (especially during the winter rains) we’ve grown to enjoy the smell of freshly dried sheets and even stiff as cardboard towels soften right up after a first use. Smaller is actually rather nice as we’ve downsized also and have grown to like living simpler. We also like the fact that having less means less time taking care and/or maintaining things and much more time spent relaxing, having fun and enjoying life. We just returned from a family visit to Denver and learned that our niece and her husband had been to Lagos a couple of years ago. They said they really enjoyed their visit, prompting us to want to visit even more. Perhaps Spain and Portugal will be next on the list? This post was reminiscent of what we saw often during our European visit, as well as our year in Mexico. Well done! 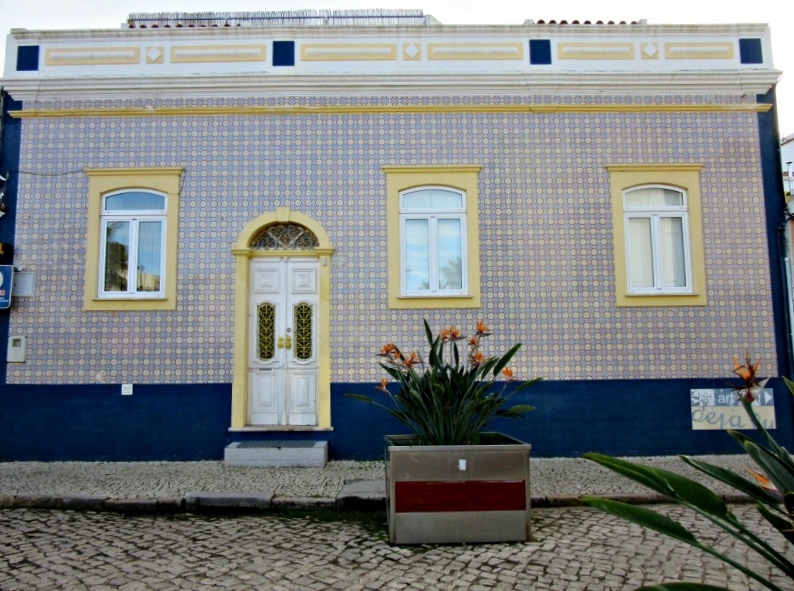 Loved this post and all your perceptions of the differences in Portugal. When we spend some time in Italy, we realized that it was also a “small is beautiful place.” Even the slices of bread were half the size of those in America! We’re so glad you enjoyed the post, Irene and were able to relate some of your own experiences in Italy to our observations. Those smaller slices of bread might be the reason the people are smaller too, Irene – 😀 . Seriously though, the bread (and bakeries) are so great, that it’s hard to resist a second slice! I could have sworn I commented on this post – must have only been in my head. I am keeping all of your expat posts about transitioning to life in Portugal because, well… one just never knows. The practical information you’re sharing is very helpful and I look forward to gleaning more wisdom from you. I enjoyed reading about your adjustments to life in Portugal. Living in Canada I am used to the metric system and I could relate to some of the other items from times overseas, but I know there are a whole raft of “little things” to get used when living in a foreign country. I experienced the bins on the corner when I stayed in an apartment in Barcelona. I’ve only encountered heated towel racks a couple of times, but I certainly could get used to them! So glad you enjoyed our post, Donna! We LOVE the heated towel racks and make them do double-duty with the towels and then a robe draped over them following a shower. Bliss … And let me also yammer on a bit about the joys of toasty socks. 😀 While life abroad can present some adjustments, there are many innovations that are very welcome! Here in the Netherlands I would also add about houses that stairways can be MUCH steeper than in the US! A tip for all those American plugs: you can buy a thing at Media Markt (a European chain, but any electronics store should have it) that allows you to plug in up to 4 USB plugs. That way you can abandon the American plugs and don’t have to use them with adaptors. I take it with me to travel too, because hotels NEVER have enough outlets. That’s an interesting point about the stairways Rachel, as we’d definitely noticed that many of the old buildings do have some killer staircases. It seems that the newer buildings are much kinder though. Thanks for the tip on the USB plugs too and, while we plan to phase out our American electronics over the next few years, that would definitely solve one of our immediate problems. 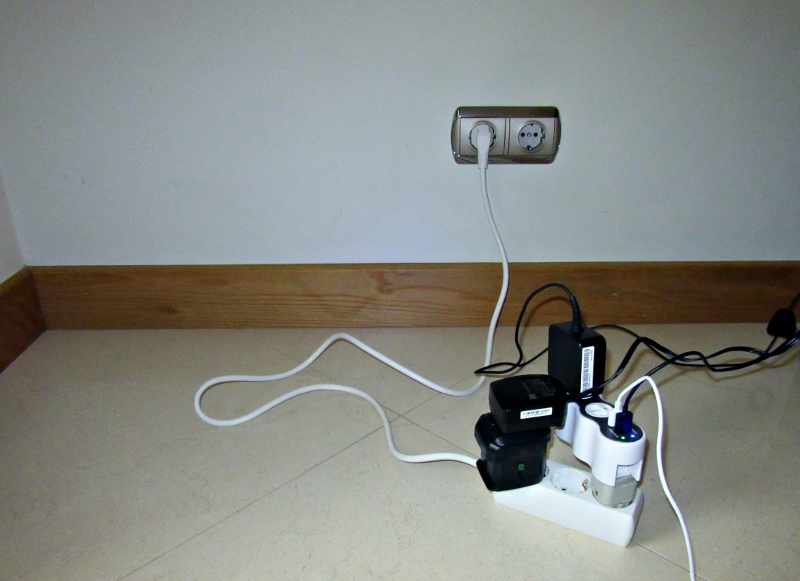 And anything that would multiply the very stingy available outlets in hotels would be welcome. We’ll keep an eye and make it a point to visit some of the electronic stores to find one. Clever! How long has it been? Has it been a year? Well, you are adapting well, I must say. Can’t wait to hear about Part 2! By the way, we have made our travel plans and we will not be able to go to Albufeira next year but certainly in 2018. Most of our year will be in Australia and New Zealand in 2017. I hope you will still be there! Yes Carol – time is a flying! 🙂 New Zealand and Australia have long been on our bucket lists and your travel plans for 2017 sound like a lot of fun. Can’t wait to see where you end up. Really sorry that we won’t meet you in 2017 on this continent but 2018 sounds promising. We’re feeling pretty darn happy here in Portugal and, except for traveling to some of the many countries on our list, we’re planning on keeping Portugal as a our base and adopted country. It’s a good place to call home! Loved your post and it’s so try how so many things are “smaller”. The plus side of a small fridge is that you only buy enough fresh produce/meats for a day or two. Shopping becomes almost a daily habit. I’m so glad I know how to drive a manual transmission and actually enjoy it. When renting a car I always try to get a diesel car as the price of gas is (slightly) cheaper! We were kind of overwhelmed this year when we returned to the US for a visit to re-experience the “bigness” (versus bigly!) of so many things in the US from the huge SUV’s to houses and restaurant meals to the size of the appliances like stoves, refrigerators and washers. The mega-store/super-stores are especially overwhelming and, when we first experienced them after living in Central America for a couple of years we were on sensory overload, a tangible experience of reverse culture shock. We like shopping every 2-3 days which means less waste as well fresher food. And we’ve found Janice, that many times having fewer choices doesn’t mean life is any less rich – just a whole lot simpler! Glad you’re settling in well, Anita and Richard. I think I recognise the building in the last photo – is it in Ferragudo by any chance? As for your observations, you make lots of good points. I think the one about the mattresses is resolved when you are in a position to buy furniture rather than rent. When that time comes, you can have all manner of springs, memory foam and whatnot. bought our tumble dryer a few years ago during a particularly relentless patch of rain. It’s been a godsend. Great post and really well done blog site! We heard about you from Remi Bodet who is a good friend of ours. Also Mariah and By. We admire what you have done and are doing! Good for you! Thanks John and Susan for your kind words. 🙂 It’s fun to think of all the people we’ve met on line (and in the case of Remi, in person) through our blog. Sharing our travel and expat experiences as well as reading and writing about others’ has given us a membership into a very exclusive and fascinating community. Who would have though the “golden years” could be so amazingly rich and interesting? Ha – No I didn’t know that about the metric system and Canada. 😀 Sounds like it is pretty cold in South Korea and that the “amenities” for warmth could be a bit more luxurious. I think it’s interesting how so many things that we took for granted are rare elsewhere in the world. Traveling in all of Latin America we NEVER saw a dishwasher and only heard about a couple of people who had a clothes dryer because the electricity was so expensive. In the US, it would be rare not to have either. And yes! A swap might be fun! We’re thinking 2017 will be spent exploring Europe but we’ll be planning a trip to North America the next year. P.S. Hope you know you’re welcome at the new digs too, anytime, Nancie! I think somedays everything as far as voltage goes runs together for me 🙂 . Now, we carry 2 of those universal adapter things. We also had the tower thing going till we got an extra one of those surge protector things to lesson the load. The language l still haven’t learned, if anything l think it’s worse than when we first got there..haha..since l think the longest time we spent at one time there was less than 3 weeks. For sure 2017 we are going to stay put and discover Spain like l keep talking about, l just wish these airlines would stop tempting me with good deals 🙂 . Love your musing on life in Portugal. It’s all a learning curve, Kemi and one of the fun/frustrating things about travel and expating. Eventually, I can see us replacing our US electronics with European ones but then, of course, we’ll need adapters when we visit there. Like you, we’re looking forward to doing more travel in our own adopted country but, with the border of Spain so close, there’s always that temptation. Looking forward to meeting you somewhere in the middle of either country and combining our travel mojo! Nice post and funny how things different all over the world. We’ve been in Japan 7 weeks (leaving today actually) and we’re actually looking forward to seeing the “large” apartments in Europe – everything here is miniature and tight, that’s a bit of an adjustment. The plugs are like North American plugs but you won’t find the additional 3rd plug and the voltage slightly lower. So after our time in Europe, where we bought a few gadgets, we’ve had to buy a whole new set of adaptors. I think the European community recycle boxes a good idea (as long as they’re cleaned out regularly which is not the case everywhere). In Sevilla they had these big plastic containers on almost every block and I find that much more efficient than what we had in Montreal (where every household has a little bin which they stick outside on recycle day). I think what you learn travelling the world is that you can learn from different places how certain things can do better. It really has been fascinating to see how how each country deals with the common complexities of daily living. I’d never pictured having to walk 3 blocks to communal garbage cans but it’s easy to adjust to and I’m certain they’re a lot more economical than the garbage pickup we had in the US. Since we don’t have much, living in a smaller space is also easy to get used too and it’s great to be able to clean our home from top to bottom in a couple of hours. But now you’ve got us wondering about Japan and the size of their apartments… It’s all pretty interesting, isn’t it? Great post. I enjoyed the glimpse into your day-to-day life. As we’ve found in Panama, it’s the differences that make expatriating fun and exciting. Keep the great posts coming. You have me remembering some of the things we enjoyed about Panama, Suzi. For such a small country, each area was completely different and had a special charm. So glad you are finding your Panama expat experience fun, especially now that you have a car. Have car, will travel! What a fascinating post. When we were in New Zealand, we took an adapter and I sure am glad we did. However, I discovered that we could remove the little two pronged plug from our iPad chargers and insert a three pronged plug, which saved us from using an adapter every time we wanted to plug them in to charge them. And those towel rack warmers….we loved them. We used them to dry underwear we hand washed, too. There is nothing like stepping out of a hot shower and drying with a warm, fluffy towel. And then there are the bidets. We are hooked on bidets. Our son bought a bidet…I guess you could call it a bidet adapter… for his toilet and now, I want one, too. Great tips. Thanks for sharing your new knowledge, guys.. I have fun picturing you and your new country!!!!! So glad you enjoyed the post Pam! We have as much fun picturing you in Montana and watching the seasons change on your Facebook posts. Loved the photos of the deep snow in your valley. It looks very much like a winter wonderland but I imagine the downside is the plowing you have to do to get to work! 😀 Merry Christmas! Very fun to read snippets about your adjustment to life in a new country and the ways thereof. Reminds me how of when we moved from Chicago to Nicaragua. Many of those things you mention such as water heaters that you switch on and off ( great for conservation), smaller fridge, fewer dryers etc one gradually begins to view as more the “norm”. Going back to Chicago after living in Latin America for six years was simply shocking ~ there seemed to be so much waste. Such huge houses, huge fridges, so much accumulated “stuff”. Interesting how the baseline of what is normal…..changes. Great to read about recycling. It drove me nuts that the building we lived in recently in Chicago for 1.5 years had no recycling!! What?? Am very happy to now have a compot pile again too. I loved all the different Eiropean currencies. But no doubt when going from one country to the other, having the euro is so much easier! You’re so right about the “huge” being so overwhelming Peta, from houses to cars to appliances to the stuff crammed into homes. I think one of our biggest eyeopeners as we prepared to travel was that having all of the biggest and best stuff wasn’t equal to happiness and how tremendously freeing and simpler it was to let go. Now that we have a base again, we’re still mindful about what we buy and have really come to appreciate the simplicity of having less. As for the euro, I’m going to second your opinion. It is nice not to have to learn/relearn the currency as one travels in countries that use the euro! Good stuff – quite amusing to understand which elements of life in Europe you guys see as being so different. I always found overseas Supermarkets fascinating (honestly) so looking forward to part two! We love scoping out the grocery stores in different countries, seeing the things that are staples as well as trying to figure out what’s available to make our meals since we cook the majority of our meals. Each countries’ markets and grocery stores from the chains to the family owned seem to have their own personalities and grocery shopping has become a lot more fun since we started traveling. Every time we return to the US, the huge one-stop mega-stores are usually the biggest source of our culture shock! I’m European and to my eyes that socket really does look overloaded! Ask a local electrician – you don’t want a fire. Thanks, Anna for stopping by our blog and for your concern! It really isn’t as bad as it looks since the adapters and surge protector are only charging a couple of laptops and USB plug-in devices. We’re lucky that our new apartment has more wall sockets – we’ve had older places where we’ve had to do a lot more juggling! This is such a funny post, I love hearing your take on the “differences ” of living in Lagos. On my recent visit I loved being able to speak Portuguese, but laughed at the different accent and certain words and expressions that we don’t have in Brazil. I will look forward to the next instalment of how you are settling down on your new life in Portugal. All good stuff, as usual, thanks for putting it out there. I may steal your idea and make a similar list for our new life in Panama. Reading things like this awakens me to the phenomenal differences new arrivals in the States face, and their challenges becoming expats in America. Daunting to say the least. Thanks again, and keep ’em coming! Feel free to steal away! The differences are always fun to describe to friends and relatives back home and it’s interesting to see the reactions. For many friends who rarely travel or who haven’t been outside of the US, “different” really can be a challenge that’s negative rather than appreciating that there are so many ways to live. It’s interesting to see how quickly we can adapt and that some of the changes that had us flummoxed in the beginning are things we take for granted now! My Greetings from Puerto Vallarta and oh the Koons also say hello. Your article made me a bit homesick for Lagos! Hope all is well with you both. “On-demand hot water heaters are the norm…” Oh my yes, those ‘on-demands” – a most BRILLIANT notion if ever there was one! I HATE it when some of the expats/travelers here (and around the globe) call them “suicide showers”. Um, can you spell con-ser-va-tion? Grrrrr! That, plus “…plug for 220 – 240 voltage that fits into a recessed socket…” Yes well, therein is where I went wrong on my recent skip to the Balkans. Yes, yes, I made sure to pack the round-pronged plug adapter, but… um, I neglected to account for the “RECESSED” part of the equation. In short – mine was too wide to fit into the recess, so… suffice my 1st morning in Munich I was off to the nearest tech store for the correct adapter plug. (and while I was at it – I wisely got one that accepts dual plugs so I could charge by camera as well as my phone at the same time – well, duh!). It seems there is always that one thing that slips by when planning a trip Dyanne, even for an experienced traveler like yourself! Luckily, you were in a city where you could pick up the adapter instead of an out-of-the-way spot when you discovered the need. I used to like Europe before the Euro. So much more exciting to use so many different currencies. Portugal had the Escudo. That electric socket looks dangerously overloaded I have to say. 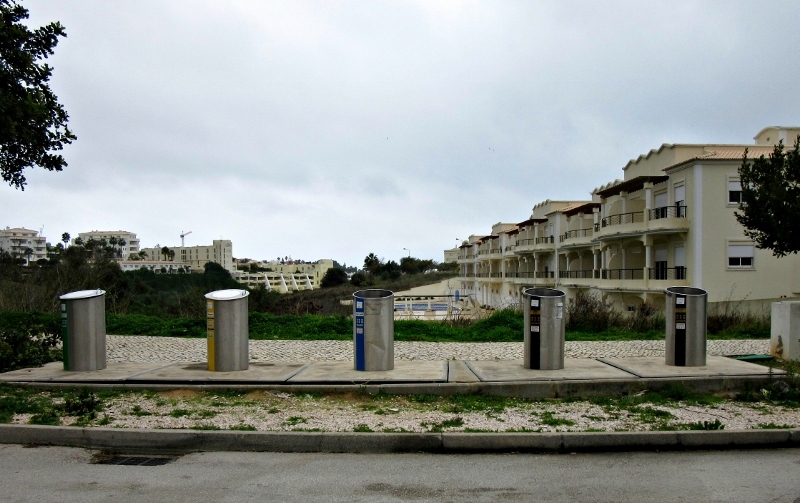 If you travel in Europe in Malta you will need British three pin plugs and in Southern Italy something completely different from anywhere else!